Slowly we sunk into the depth of the deep aqua colored sea descending about 28 feet for the first sculpture which appeared to be an explosive mind ready to detonate. 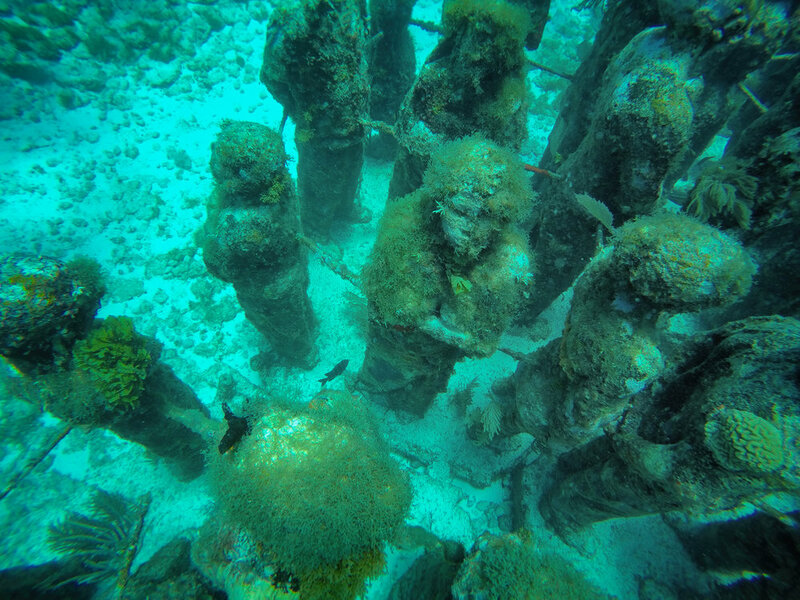 As I swam north towards Isla Mujeres I came upon what looked to be a group of people frozen in time. I noticed a small child sitting on an overturned bucket, a woman with her arms above her head as if she had just ran a race and was tired, unable to catch her breath. As I swam closer and deeper towards the silent crowd I witnessed what appeared to be a young man looking upwards in pain. 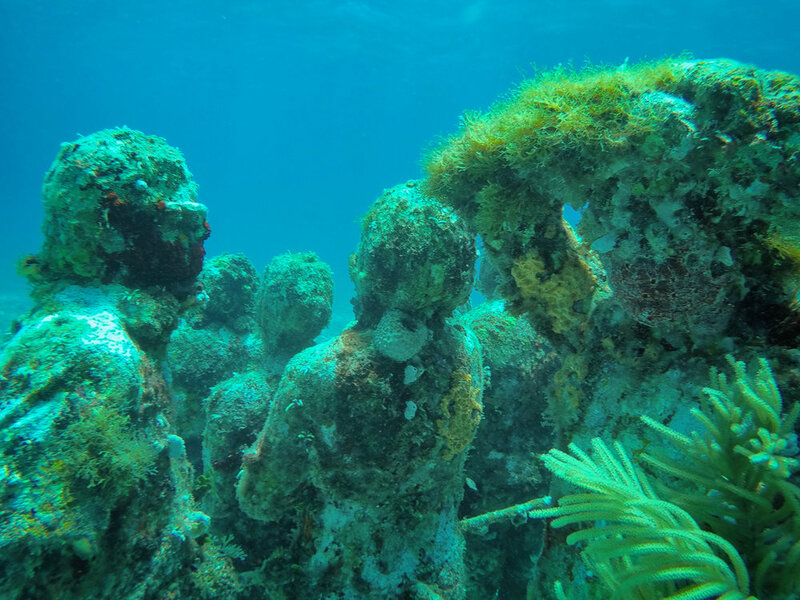 My scuba tank supplied my air and as I exhaled it almost gave life to some of the statues as bubbles of oxygen swarmed around the heads of the sculptures before me. 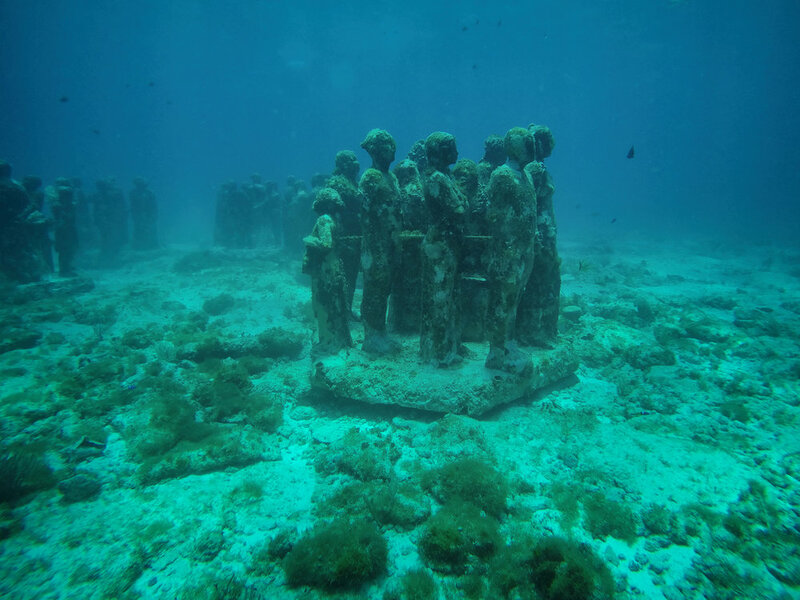 English sculptor Jason deCaires Taylor constructed over 500 life sized statues that were lowered into the Caribbean to demonstrate the interaction between art and environment. 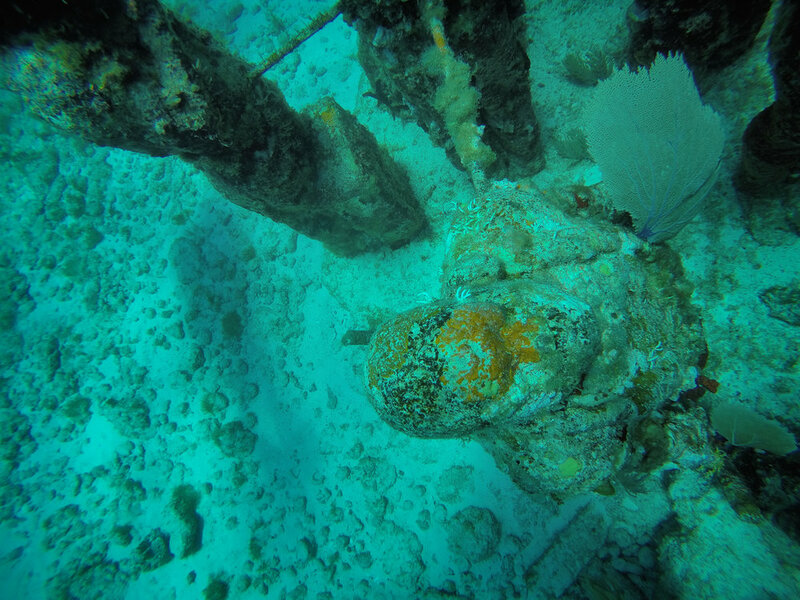 Each statue is attached to the seabed with material that promotes coral life allowing for the underworld of the sea to inhabit every square inch. 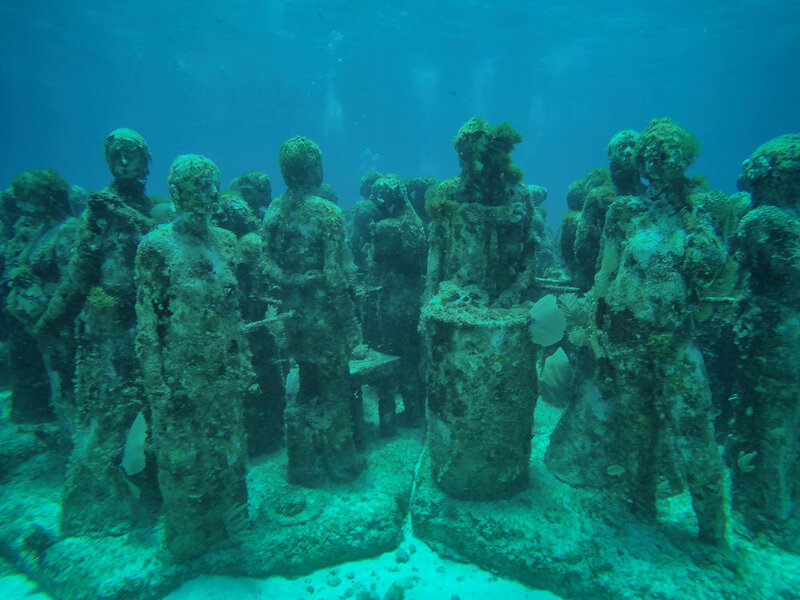 The exhibit is between the coast of Cancun and Isla Mujeres in Mexico. The exhibit is called MUSA or Museo Subacuático de Arte. 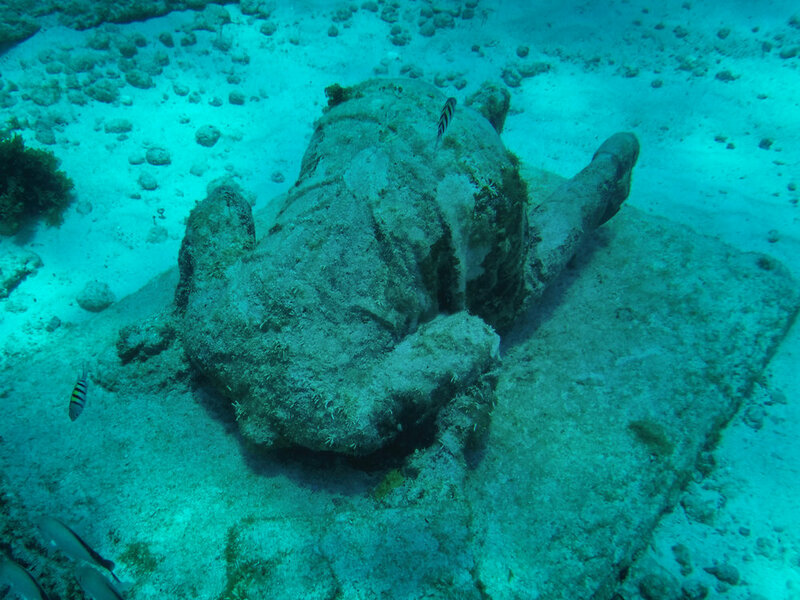 It was founded by Roberto Díaz Abraham, former President of the Cancun Nautical Association and Jaime González Cano, Director of the National Marine Park.